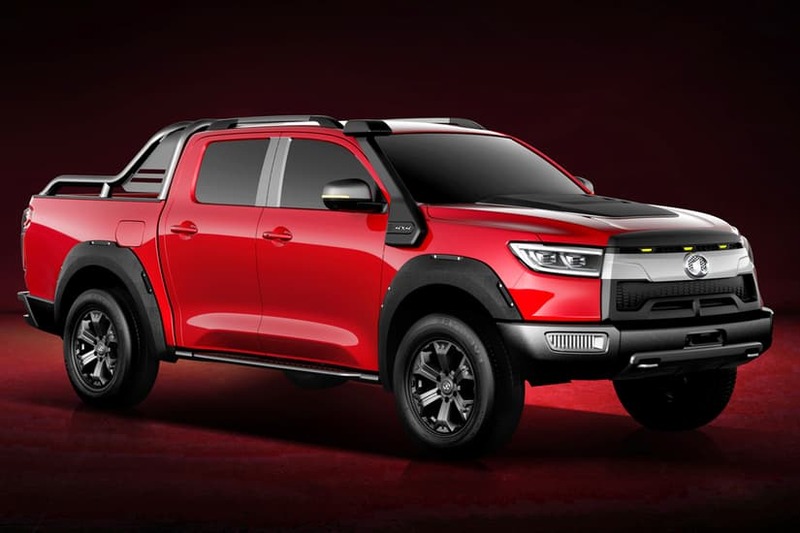 Great Wall Motors is the latest manufacturer to showcase an electric pickup truck, with the Steed-replacement making its debut at Auto Shanghai this month. The electric pickup is expected to have a 310-mile range (500km) and is likely to hit its home market of China in 2020. Great Wall had a very short spell in the UK, with the Steed being sold by International Motors (also the UK distributors of Isuzu and Subaru) from 2011. Largely based on the previous generation Isuzu Rodeo, the Steed was fairly reliable and offered great value for money, but it fell short in terms of refinement and the quality of the interior. The Steed’s days were numbered in Europe five years after its initial launch. Its engine wasn’t compliant with the Euro-6 emission standard which came into force in 2016, and it was subsequently withdrawn from sale. The more aggressive-looking facelifted model was launched in 2017 and sales have increased in the Chinese domestic market, Africa, Australia and South America. However, the company is now preparing for an all-new model which will feature an electric version and possibly a hybrid. Great Wall has leaked a teaser image of its ‘Adventure’ model ahead of its unveiling at Auto Shanghai. The pickup adopts GWM’s new tough truck signature look, which comprises of a single bar grille, LED daytime-running lights and charcoal fender flares. 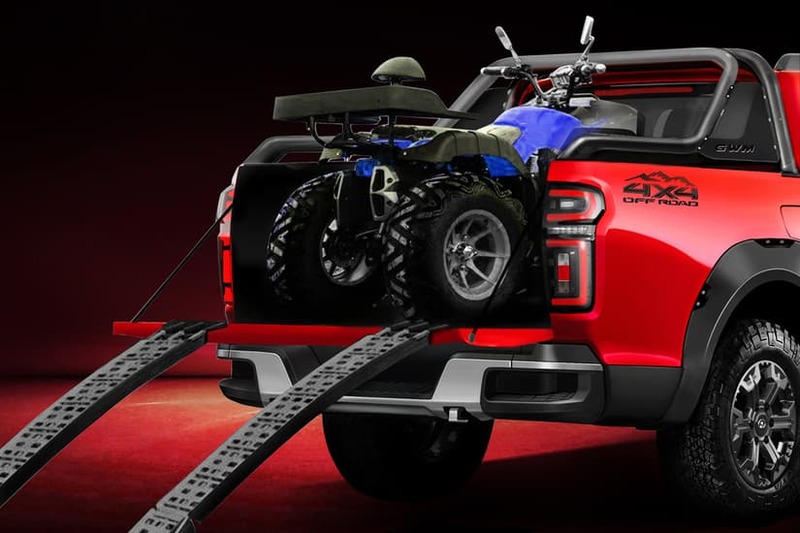 There are also LED lights at the back, an extended sports bar and a nifty tailgate aimed at motocross enthusiasts. The vehicle also has a winch, front, rear and centre diffs and seven different off-road settings. However, it won’t be the Adventure model that will attract the crowds but an all-electric version. Very little is known about the electric model, except that it will have a range of 500km (310 miles). Great Wall announced an incredible $210bn investment plan on electric vehicles in 2015 and the new electric pickup will be one of the first products of this plan. International Motors, who still has the distribution licence for the UK, are aware of the new electric pickup and we’re awaiting comment.